Pierre erfoud is a company that specializes in geology in the city of Erfoud-Morocco. Our various activities include: production, exhibition, sale, import and export. Our products are diverse and beautiful. 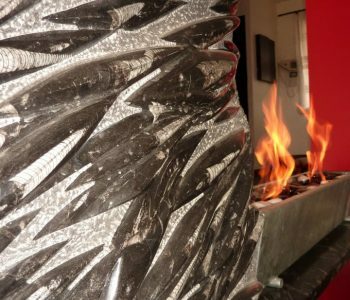 There are many types of marble available in Erfoud, of various shapes and sizes. Stone of erfoud wishes you a successful visit from the city of Erfoud an exotic city of sun, sand and civilization. For more informations, please don’t hesitate to contact us. During the Devonian period, the Paleozoic Era, about 380 million years ago, the Moroccan Sahara (Rissani) was a floor of a large prehistoric ocean, the first proto-Tethys Sea Mediterranean. Because of different natural factors , fish, plants and other ancient marine fossils animals were after the withdrawal of the sea. The lack of oxygen, tectonic movements and high temperature are the main natural factors. The south-east of the Moroccan Sahara is now a rich source of a very old and various fossils. ” by leading track researchers. 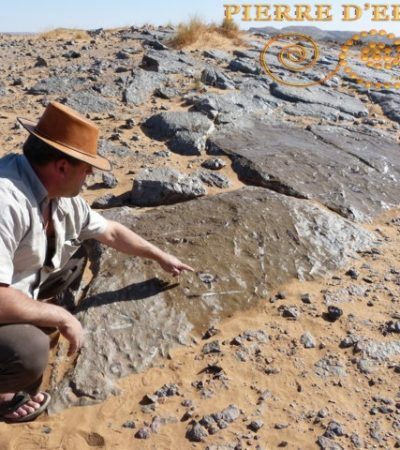 Paleontological research shows that the area of Erfoud was a sea bed where many types of marine animals existed, many of which cannot be found today. However, their existence is well preserved, fossilized in the area of Erfoud, which is a stable zone from a geological perspective. Geologically speaking, there are many mines and quarries, where the fossils are embedded in huge boulders, each career has its own characteristics in terms of age, raw materials, and the color of fossils. Ammonites, and goniatites orthoceras are widespread in our fossil Sahara. On one hand, some fossils are huge and are part of large marble quarries or black or brown. For example, the black is very rich orthoceras, sediment squid, and brown is very rich so many ammonites and orthoceras. On the other hand, some other fossils are located in the mountains are very rich limestone as trilobites.